We are surrounded by Blue Light. 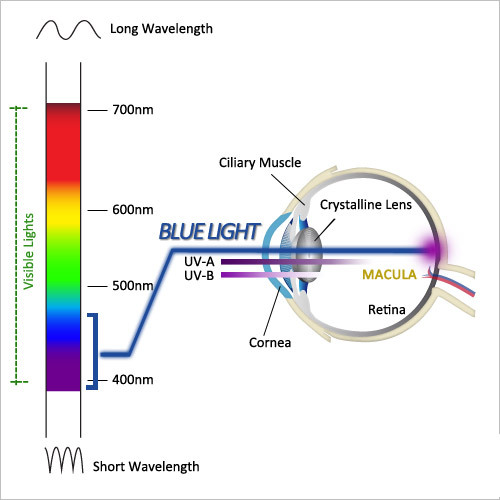 Natural blue light is healthy and regulate your sleep and moods. 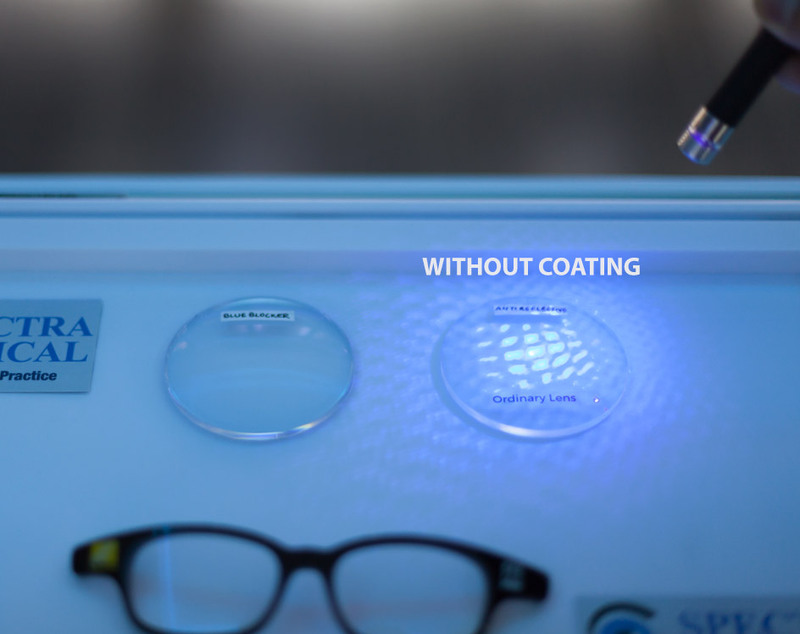 On the other hand Artificial blue light can be very harmful. 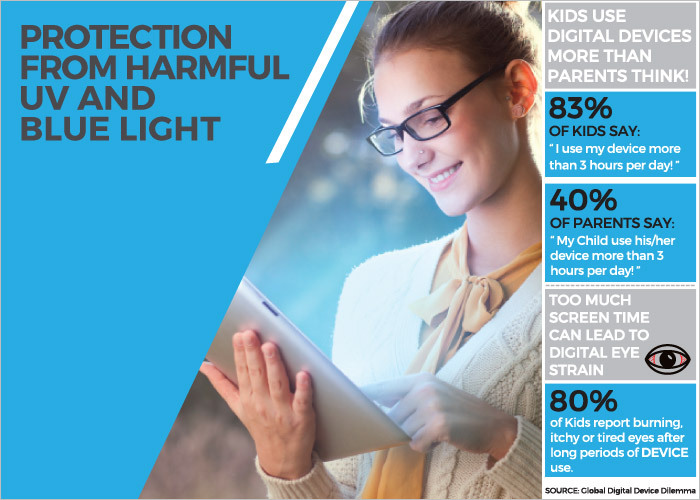 Screen light from cell phones, tablets, computer screen and tv emits very strong blue light waves. 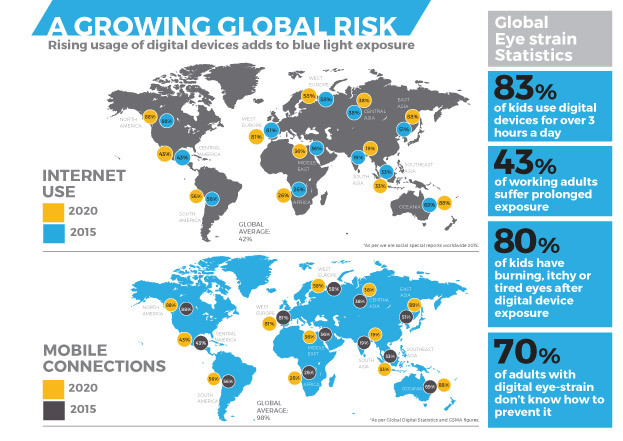 it can cause digital eye strain, fatigue and sometimes permanent damage to your eyesight. Our eyes have natural filter but not efficient enough for our current digital lifestyle. 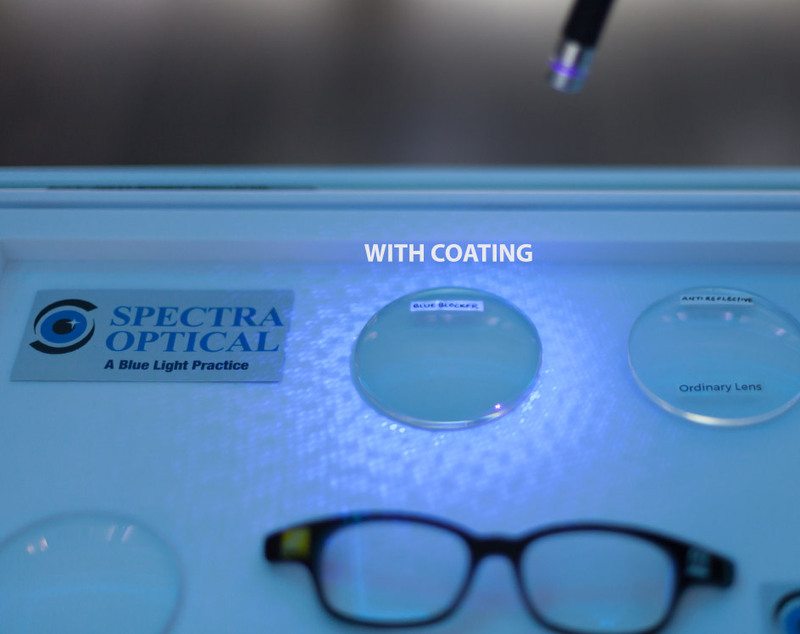 We have advanced lens coating that almost eliminates the Blue light effect. For more information and hands on preview, Please visit us.